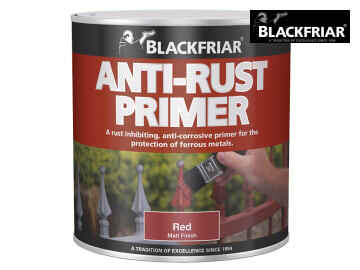 Blackfriar Anti-Rust Primer Quick Drying is an all-in-one primer and undercoat that is the perfect preparation for Blackfriar Metal Paint. 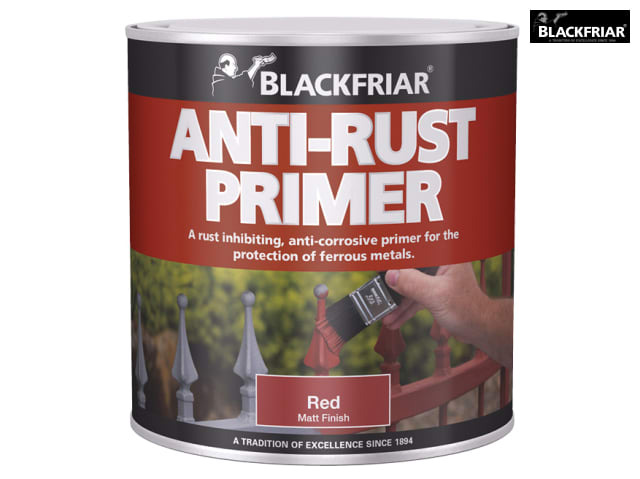 It’s easy to apply and provides excellent protection against rust, making it ideal for factory maintenance, including plant and machinery, and for use at home on your car, bicycles, garden furniture, gates, railings and garage doors etc. Application method; brush or roller.